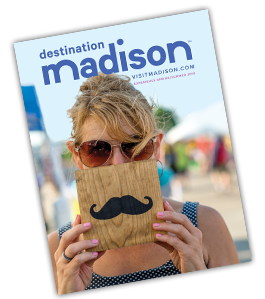 The Destination Madison Foundation focuses its work on creating opportunities that improve our destination, drive visitor volume and enhance the experiences of people who visit Madison. Destination Development: Our collaboration on the Community Air Service Support Partnership (CASSP) helped bring new non-stop air service to Dane County Regional Airport, a critical step in making Madison more accessible. Tourism-Based Economic Impact: By providing initial funding for the Madison Area Sports Commission, we helped launch an effort to leverage sporting events such as Ironman Wisconsin to drive visitor volume and spending. The Destination Madison Foundation, Inc. is a 501(c)(3), not-for-profit organization, founded by the Greater Madison Convention and Visitors Bureau, Inc. in 2005 and guided by a Board of Trustees. It allows creation of a holding fund that remains intact from year-to-year and accepts tax-deductible contributions.